Daniel J. Murphy is an attorney, combat wounded Vietnam veteran with the 25th Infantry Division (69-70) and gold star father of Navy SEAL LT Michael P. Murphy. He is a graduate of the University of Tennessee, both undergraduate (1968) and law school (1972) and served in the NY Suffolk County District Attorney’s Office (1973-1987) before moving over to the NY State Supreme Court of Suffolk County as Chief Law Assistant to Justice Peter Fox Cohalan prior to his retirement in 2012. He is a member of numerous veterans organizations including as the past duly elected National Judge Advocate of the Purple Heart organization (MOPH) in Washington DC (2003-2014). 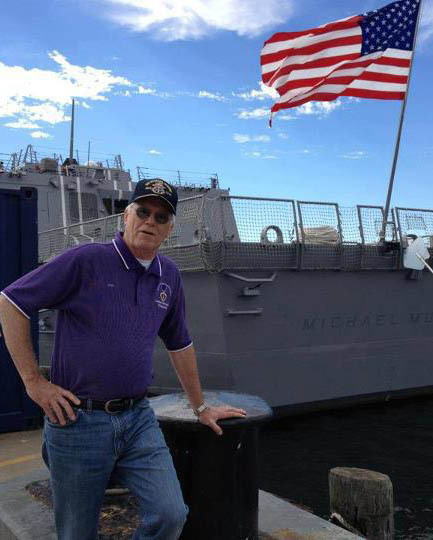 Mr. Murphy sits as board chairman of the LT Michael P. Murphy Memorial Scholarship Foundation as well as the LT Michael P. Murphy Navy SEAL Museum/Sea Cadet Training Facility. Mr. Murphy lives in Wading River with his wife, Karen, and daughter, Kristen, who attends Penn State University (Michael’s alma mater).